Ever since my kids were little, we have been a family of snack lovers. As in we can't get into the car, walk down the street, or sit down to watch TV without having a snack in hand. My kids are all grown up now, but my grandchildren love snacking too, and we are always looking for yummy new snacks to try. So when I came across DOVE® Fruit at Walmart, I knew I had found something delicious that we could all enjoy. DOVE® Fruit are whole pieces of real fruit, dipped in DOVE® creamy dark chocolate. Since I'm such a fruit lover, and I never say no to dark chocolate, these have become my favorite new snack. I get to indulge in something sweet and delicious, and it's a much better choice for me than some of the other snacks I sometimes have on hand. 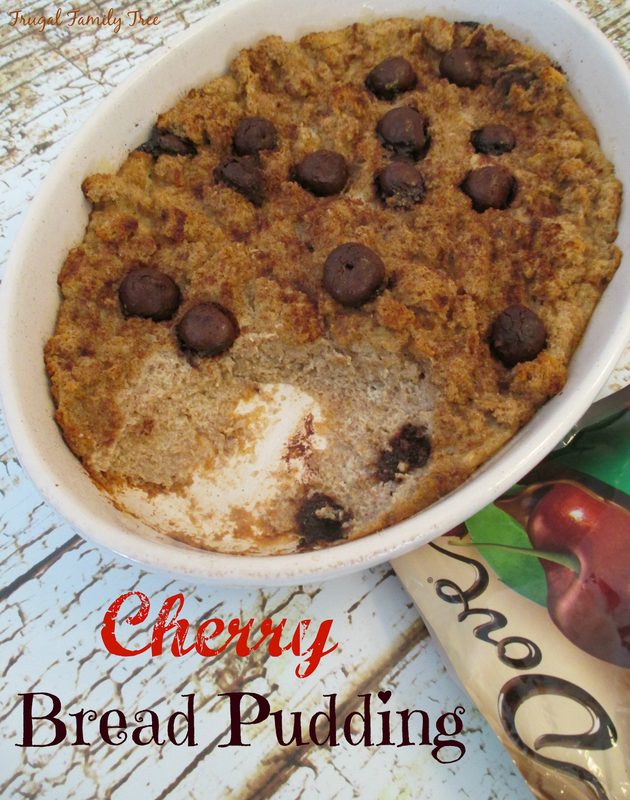 My favorite kind of DOVE® Fruit has to be the Cherry, so I used them to make Cherry Bread Pudding. I love bread pudding because it tastes so good, and it's one of those old fashioned desserts that make me nostalgic just thinking about it. Even though I love the Cherry variety the best, the Cranberry and Blueberry aren't far behind. My grandkids eat lots of fruit, especially blueberries, so they really loved the Blueberry kind. These also make a great addition to yogurt, granola, and cereal. And when I'm running out the door and know I'll be needing a snack, it's so easy to toss a bag in my purse to enjoy when I start feeling hungry. I made my bread pudding with whole wheat bread and non-fat milk. It's a healthier version of how I used to make it, and I think it tastes just as good. I'm finding that little changes add up, so using the whole wheat bread makes me feel better about indulging in some of my favorite foods. 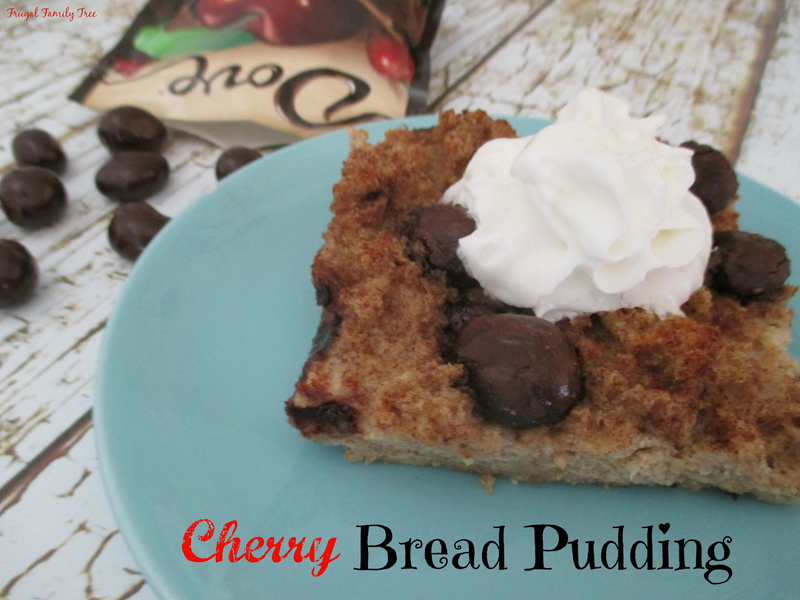 The chocolate in the DOVE® Fruit melted into the bread and tasted so good. The cherries had just the right amount of tanginess to satisfy me and my craving for a great tasting dessert. Yum! In a medium saucepan, heat milk and butter until butter is melted and milk is warmed. 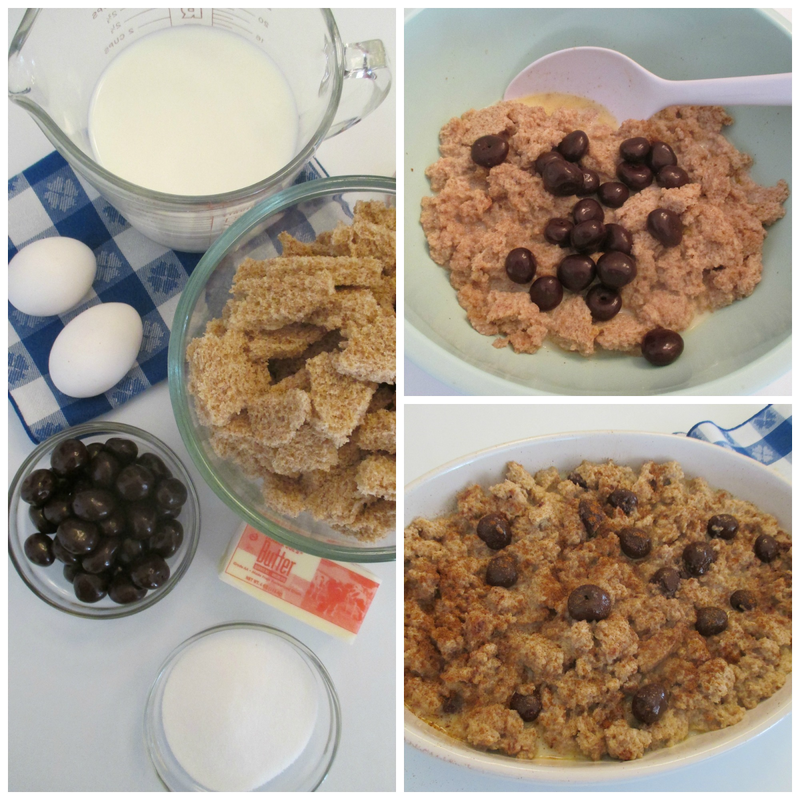 In a large bowl, mix milk, eggs, sugar, cinnamon and salt. Stir in bread cubes until bread is completely moistened. Stir in DOVE® Fruit pieces. Pour into baking dish and bake for 30-35 minutes, or until a knife inserted comes out clean. Serve warm or cold with whipped cream, if desired. Look for DOVE® Fruit at a Walmart near you. I found them at this display near the checkout stands, but you can also look for them in the candy aisle. I always use coupons to save money whenever I can, and you can save too by using the $1.00 off coupon available here for your DOVE® Fruit purchase. 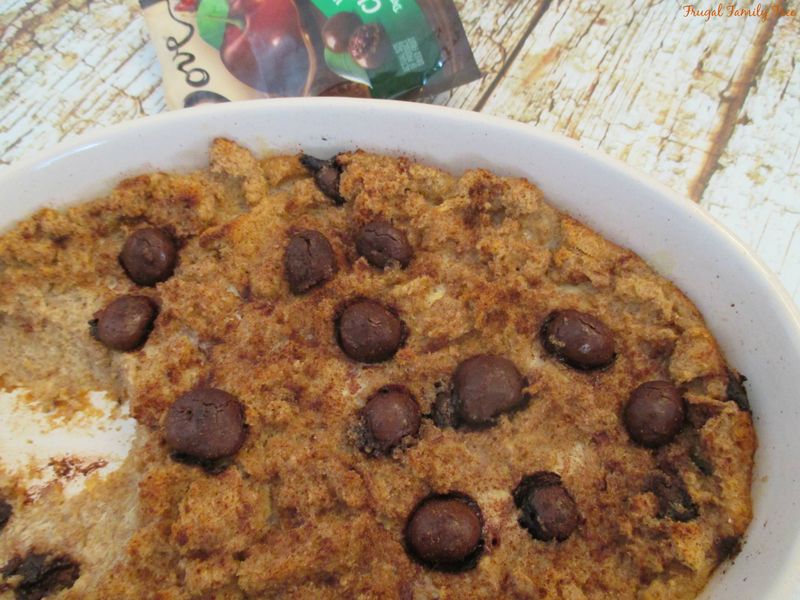 And you can find some really great recipes to inspire you on the DOVE® Fruit social hub. What about you, have you tried DOVE® Fruit yet? What's your favorite variety, Cherry, Blueberry, or Cranberry? Please leave me a comment and let me know.